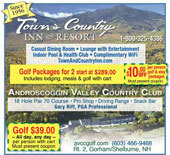 New Hampshire golf courses, coupons, history, lodging packages, and lessons in North Conway, NH, Lakes Region, and Great North Woods of the White Mountains, NH. 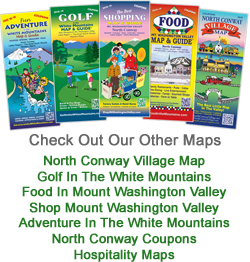 The Golf in the White Mountains Map and Guide is your caddy to all the great golf there is to be played in Central and Northern New Hampshire. 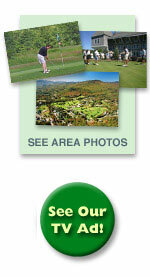 The New Hampshire golf courses and businesses shown here are located in Mt. Washington Valley or surround the beautiful White Mountains of New Hampshire. 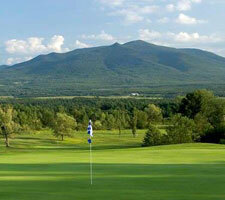 Many of the golf courses are located near or on the historic waters of New Hampshire's Lakes Region or look out at the vast beauty of the Great Northern Woods. At nearly every course in this golf publication, you will experience the most scenic fairways and tee boxes in New Hampshire. 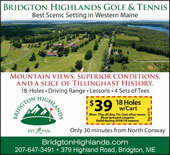 In addition to golfing, in Tilton and North Conway, NH, there are hundreds of stores, fine art galleries and factory outlets to shop in for clothing, artwork, outdoor, mountaineering, and golf equipment, NH-made gifts and crafts, and gourmet gadgetry. You'll also enjoy New Hampshire's great restaurants, pubs, live entertainment and lodging at more than 250 hotels and bed and breakfasts. All New Hampshire golf courses are within easy driving distance from Portland, Maine, Manchester, NH and Boston, Massachusetts. And don't forget to check out our Golf Calendar of Events and golf tips and hints. 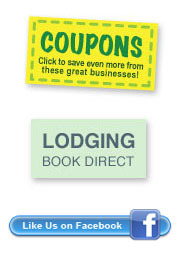 Check us out at hospitalitymaps.com too. 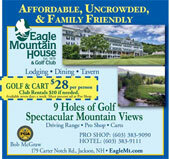 We hope to see you soon at the New Hampshire golf courses promoted in this golf course map and guide! No portion of this Map & Guide may be used without the written permission of the publisher. Infringement will result in immediate prosecution. Editorial tips and etiquette are the views of the writers.